Here's a quick tutorial on how to navigate to online resources from the new version of Compass. Here's an example of a record I might want to open. Each record will have links that take you in different directions. Link 1 will take you to a dedicated record for the item. This page features many expandable sections and will attempt to recommend related articles and resources for you to browse. 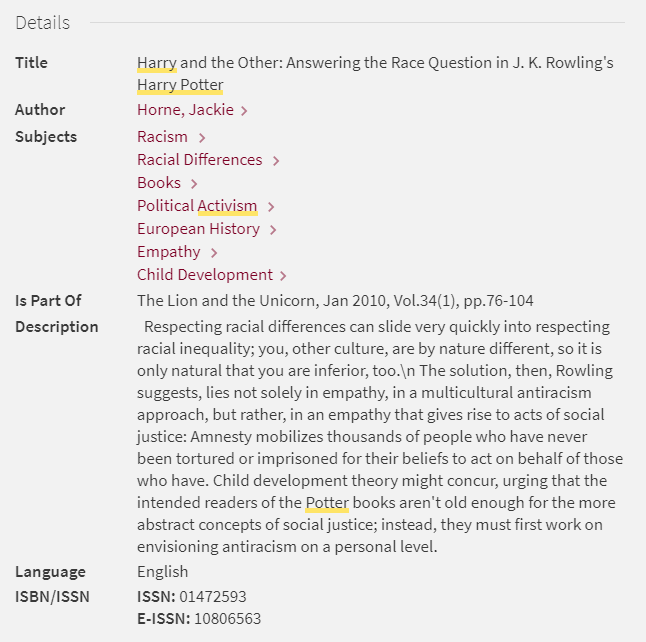 In addition, you can access various "Details" (link 1.1) about your item that will help you ascertain its relevance to your research topic, including subject headings, an abstract, and an ISBN or ISSN. Returning to the search record that we selected initially, Link 2, "Online Access Available," will most often take you to a populated list of online databases through which we have access to your resource. You may see more or less than those in this example depending on the item that you've selected. This article is available from four resources. 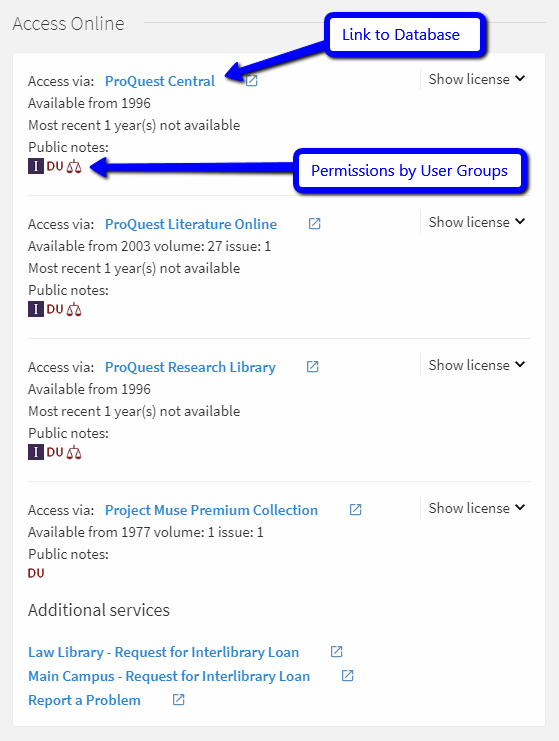 Pay attention to the usergroup permissions before clicking through to a resource. The icons under the first three entries tell me that they can be accessed by Iliff School of Theology users ( ), by University of Denver Main Campus users ( ), and by University of Denver Law Users ( ). You want to make sure that you choose a link that lines up with your access privileges. Retrieving your item: To open the article from a given resource, simply click on the blue link to the database or resource. If you are just beginning a research session on the library's website, you will be asked to authenticate at the library proxy's login page. Use your 87# and password like you would for PioneerWeb. You should load to a page with the article or with access to the article. 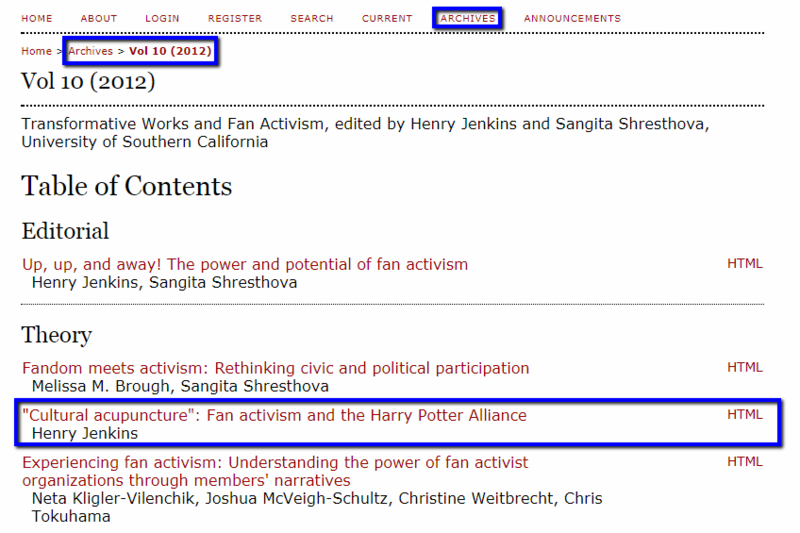 In some cases, you will find Compass records that jump directly from the "Online Access Available" link to the article within a database, effectively skipping the populated list. In other cases, this link may load only the Archives for a particular journal, requiring you to return to the Compass record to review year, volume/issue, and page range data in order to properly find your article in the journal's archives. An example of this process appears below. If you experience any difficulty navigating to online resources from Compass, please contact us. * A note about physical holdings for journals that have migrated online in the last decades: Even in records for online resources, you might still see "Check Availability," indicating that the library also owns the item in a physical format. Clicking on that link will allow you to see where the item is currently stored, and whether it's checked out or available for you to request it.